In the run-up to the European Parliament elections, a survey from the European Council on Foreign Relations (ECFR) shows European voters are not as concerned with immigration as often believed. In fact, according to the results of the survey which was released last week, a majority of Europeans do not consider immigration to be the most important issue overall. Domestic issues such as corruption, living standards, and employment ranked as high or higher in voters’ minds in most countries. Interestingly, when it does come to migration, several countries appear to be more worried about people leaving the country than those coming in. In one part of the survey respondents were asked whether they were more concerned with “people from elsewhere coming into our country” (immigration) or “people leaving our country” (emigration). Many countries’ answers lined up with their general reputation. Denmark, the Czech Republic, and the Netherlands all scored very high for being more concerned about immigration (above 45%), whereas Greece, Romania and Spain all scored low. Two countries who are ostensibly consumed with immigration worries stand out, however. Only 24% of Italians said they were more concerned with people coming in, while 32% said they were more concerned with people leaving (35% reported being equally concerned by both). The comparison is even starker in Hungary, where only 20% of people think immigration is the biggest concern and nearly double that, 39% were more worried about emigration (34% answered both). These results are at odds with the prevailing story about the upcoming European Parliament elections. Thanks largely to the rhetoric of the anti-immigrant nationalist leaders in both countries, Viktor Orban in Hungary and Matteo Salvini in Italy, the elections have often been portrayed as a kind of referendum on immigration. Both Salvini and Orban, as well as such fellow-travelers as Austria’s Sebastian Kurz and the Czech Republic’s Andrej Babiš, have managed to drive home the idea that Europeans are fed up with Brussels forcing foreigners on them and want to take greater control of their borders. It has proven to be a very seductive narrative in a region consumed with angst over populism and sovereignty. The ECFR survey casts doubt on the simplicity of this story. One other standout from the ECFR survey, but in the other direction, is Romania. Only 10% of Romanians reported being more concerned with immigration, while 55% were more concerned about emigration. Romania, a country with deep economic problems largely associated with historically high emigration, is a good example of how the results of this survey should not be read simply as indicating ‘pro-’ or ‘anti-immigration’. There were only 9.1 immigrants per 1,000 Romanians in 2017, according to EU numbers. This is on the lower end of the scale for EU member countries, but it is still higher than Italy and Hungary. Nonetheless, “Immigration is seen in a rather positive light, as the sole solution for the workers’ crisis in entire economic sectors due to the lack of Romanian laborers,” said Remus Gabriel Anghel, director of the Centre for Comparative Migration Studies at Romania’s Babeș-Bolyai University. At the same time, he said anti-Muslim sentiment (explicitly the driving force of Viktor Orban’s anti-immigration stance) is low, thanks to a historical presence of ethnic Turks and Tartars in Romania. That is to say, the presence of Muslims does not overly change Romanians’ image of their society. 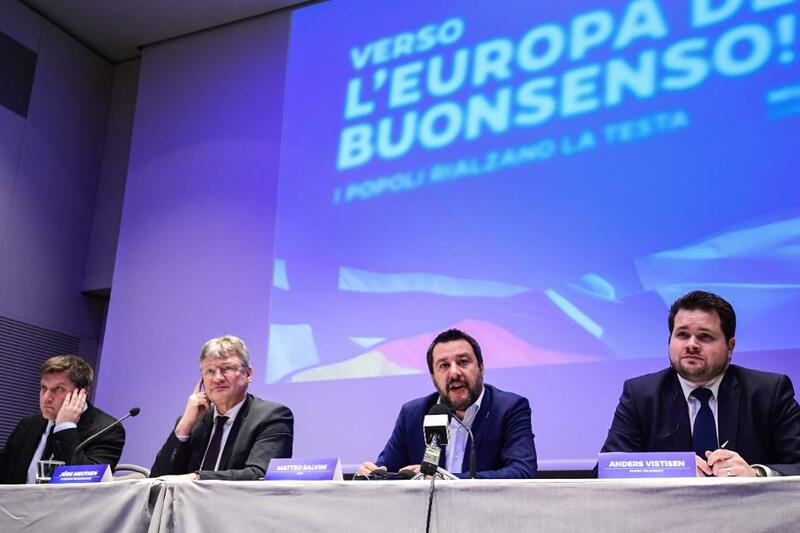 With the European Parliamentary elections looming, Matteo Salvini is hoping to avoid that nuance. He has unveiled his new far-right group with members from Eurosceptic parties around Europe such as the Alternative for Germany, the Danish People’s Party and the True Finns (Viktor Orban’s Fidesz party remains part of the majority center-right European People’s Party). This article was written by Frey Lindsay from Forbes and was legally licensed through the NewsCred publisher network. Please direct all licensing questions to legal@newscred.com. next Will Julian Assange Be Extradited to the United States?